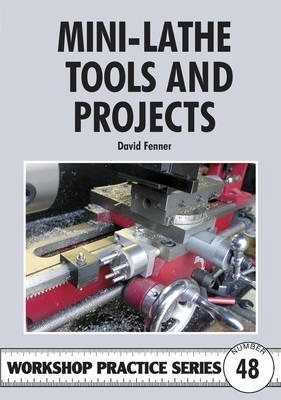 This book follows on from the same author's introduction to the Mini-Lathe (Workshop Practice Series No. 43) and presents a series of projects which are intended to extend the versatility of this little machine. In some cases, additional machining capacity will be required, which some readers may find at their local model engineering club. The book covers the Mark 2 Mini-Lathe, and specific tools such as the radius turning attachment, the tailstock and the dividing head, and includes techniques such as taper turning and knurling. Whilst specifically written for the Mini-Lathe, some of the projects in this book can equally be applied to other small model engineering lathes and in many cases the concepts can be scaled to suit other equipment. Mark 2 Mini-Lathe. Improving the Radius Turning Attachment. Tailstock 'Off-Centre' for Taper Turning. Mini-Lathe Saddle Attachment. Taper Turning Attachment. Lever Feed for the Tailstock. Multi-Position Saddle Stop. Four Way Tailstock Turret. Long Cross Slide. Five Way Tailstock Turret. Dividing Head - Simple. Dividing Head - With Worm. Pump Centre. Simple Double-Ended Tailstock Dieholder. Knurling. After a career of over forty years spent mainly in manufacturing engineering, David Fenner occupied the editorial chair at Model Engineer's Workshop magazine for about five years, relinquishing the role in 2007 to a life in Scotland where he devoted his time to hobby activities and to writing about home workshop topics. His first serious involvement in model making was with control line model aircraft in the late 1950s and early 1960s, taking up model engineering in the late 1970s. His other interests include classic cars and motorcycles.